Today on the blog we're reviewing nine ridiculously delicious fried chicken sandwich recipes that are perfect for your menu. 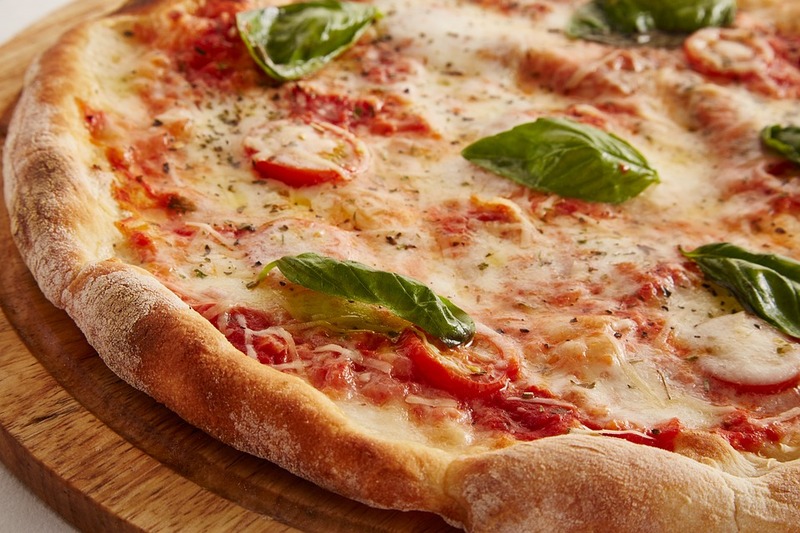 Each recipe is unique and offers its own spin on a classic or fan favorite. 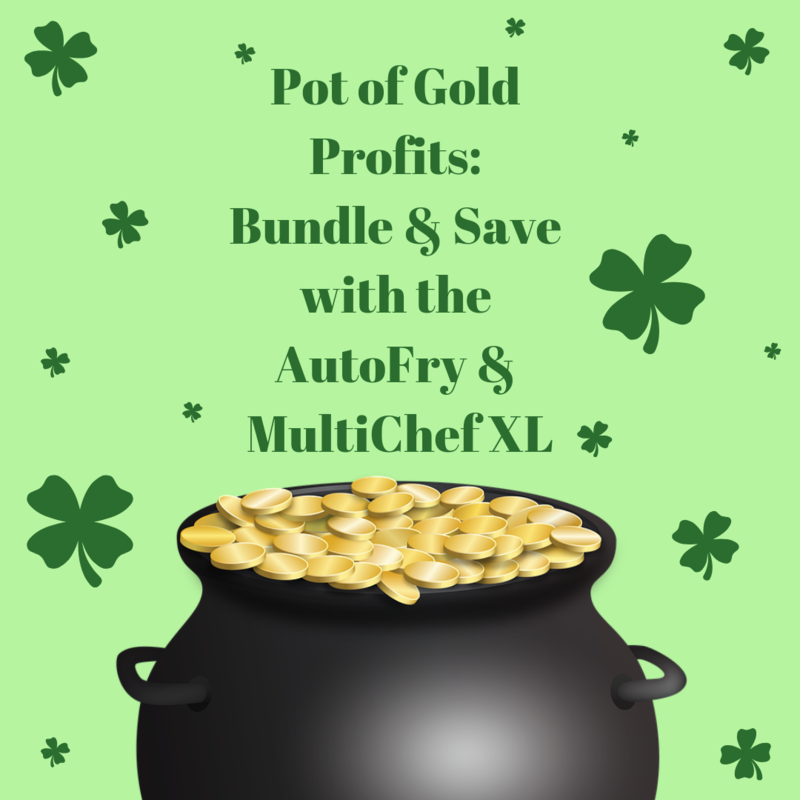 Plus, with the growth of chicken sales outranking burgers, now is the perfect time to take a chicken recipe or two and add them to your line up! From Chicken Parm to the Southern classic, Po'boy, we've got some great recipes for you to test out and implement on your own menu. Enjoy! 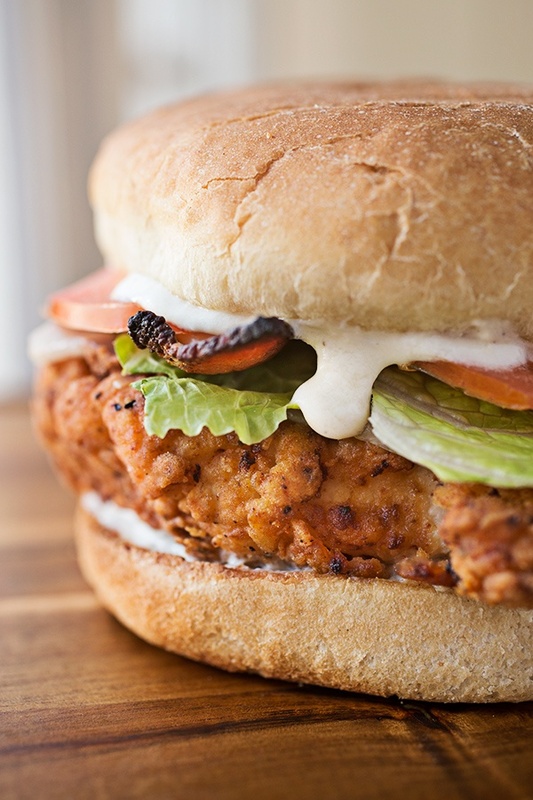 This crispy chicken sandwich takes a unique spin on a classic hot chicken sandwich. The recipe from The Cozy Apron, features Tabasco sauce in the chicken marande and cayenne pepper in the chicken breading - both can be modified to taste for those who like it SUPER hot or even those who prefer it mild. Topped with a creamy garlic-parmesan sauce, bacon, tomato and lettuce, this chicken sandwich is sure to be a crowd pleaser. Ever heard of a Katsu Sando? If you've visited Japan it's probably one of your favorites, it you're less traveled, allow me to introduce you to some crunchy chicken goodness. 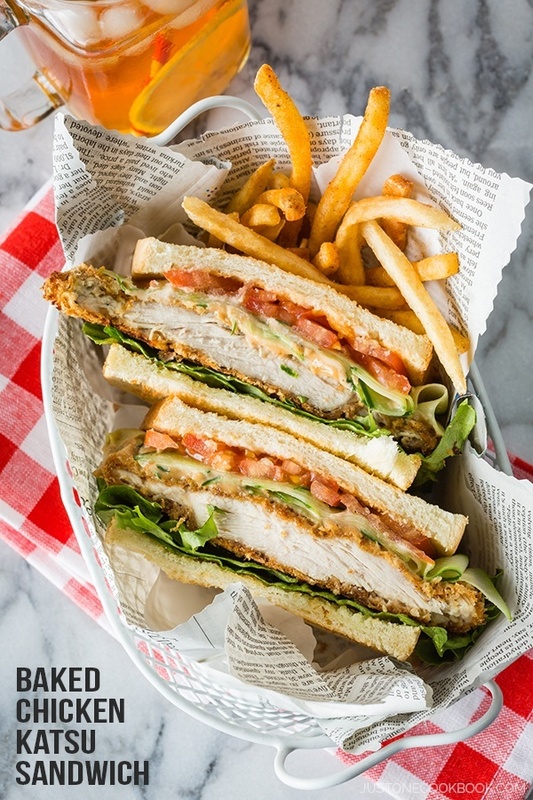 This delicious sandwich recipe from Just One Cookbook features thin fried chicken, roasted garlic, tonkatsu sauce (think of a thicker Worcestershire sauce), cucumber, and tomato all on two slices of toast. 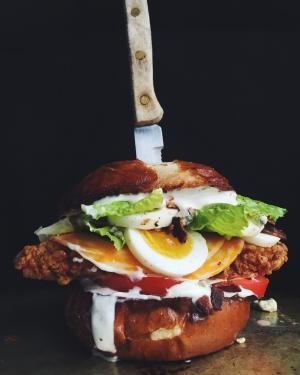 It's another unique spin on a traditional fried chicken sandwich. Another hot option for our countdown, this spicy fried chicken sandwich features the hot sauce we all know and love, Franks! Karen, from Honestly YUM, hit it out of the park with this recipe. Topped with and soaked in Franks Red Hot sauce, the chicken on this sandwich definitely has some heat. 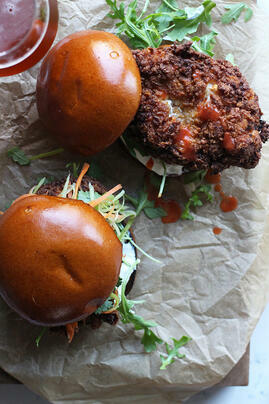 Add some blue cheese mayo, carrot and celery slaw and place it all on a brioche bun and you've got a real winner. Ok, this one is definitely my favorite! 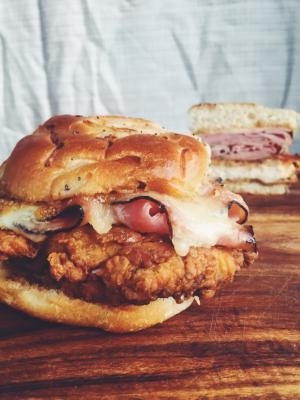 Who doesn't love chicken cordon bleu for dinner, and now you're telling me I can have it on a bun? Sign me up! This easy recipe from the Sandwiches Expert over at About takes the hard work out of stuffed chicken dinners. The idea is simple, top the chicken instead of stuffing it and you've got a delicious twist on a classic. Served with some sweet hot mustard or mayonnaise - you're preference! 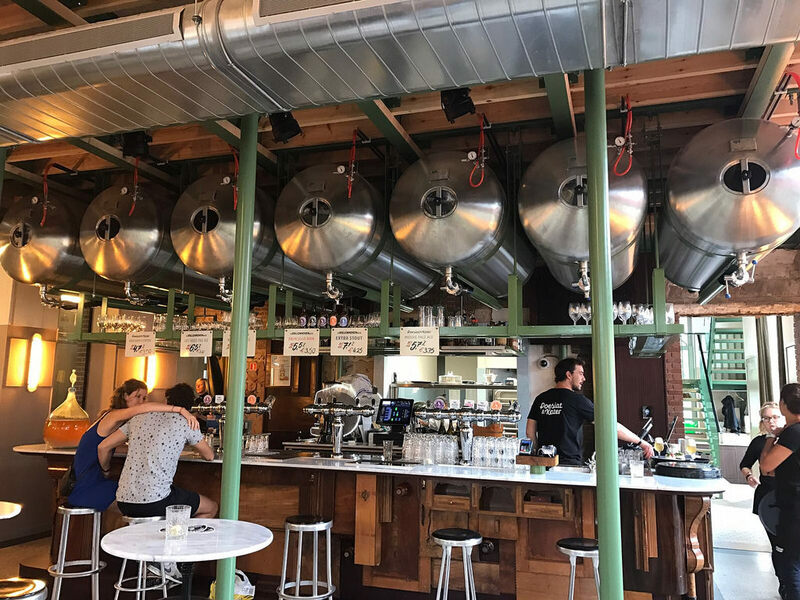 It goes without saying that chicken and waffles are a hot item right now. So why is it that I seldom see chicken between the waffles? And furthermore, why has it taken so long for someone to develop a bacon cheddar waffle?! 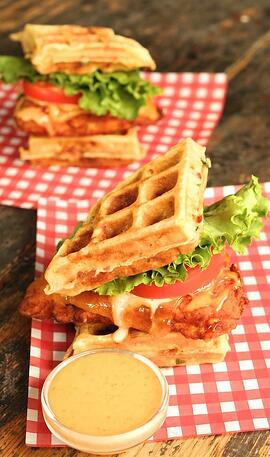 This recipe from Cooking with Janica is about as tasty as it gets from the waffles down to the chicken each ingredient in this recipe truly shines. OK, so ask yourself, what makes a sandwich "the ultimate," in your book? Is it fresh cut ingredients like tomato and lettuce? Double stacked cheeses like colby jack on top of blue cheese? 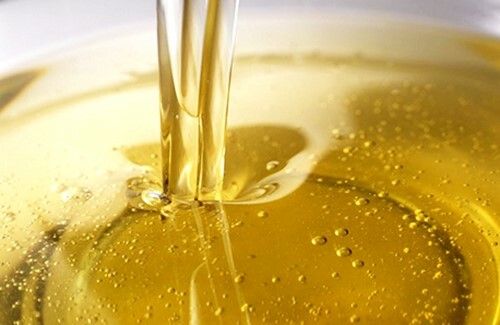 Is it perhaps a crunchy buttermilk fried chicken base? Bacon? a Fried Egg? or the pretzel bun?! Or perhaps, it's the combination of all those things together! 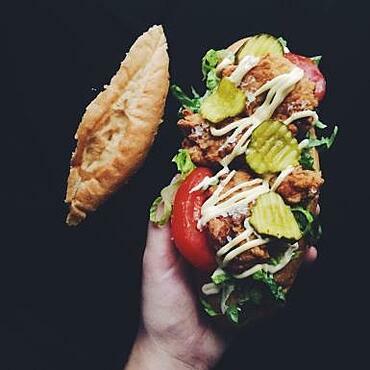 The Sandwiches Expert, MacKenzie Smith, from About, strikes again with another insanely good chicken sandwich. Now if you can't tell from the photo - this recipe is for multiple sandwiches, and would make for a great party platter. This classic chicken parm sandwich from Serious Eats is made on a sturdy ciabatta loaf, selected to match the crunchiness of the fried chicken. 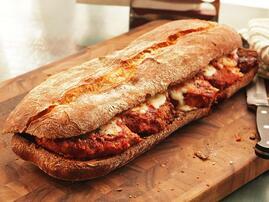 The sandwich is topped with sauce and fresh grated mozzarella to give it that fresh Italian taste. If you've never been to Lousiana you may not be familiar with this classic! Originally made from scraps and given out for free to the working class (hence the name po'boy!) 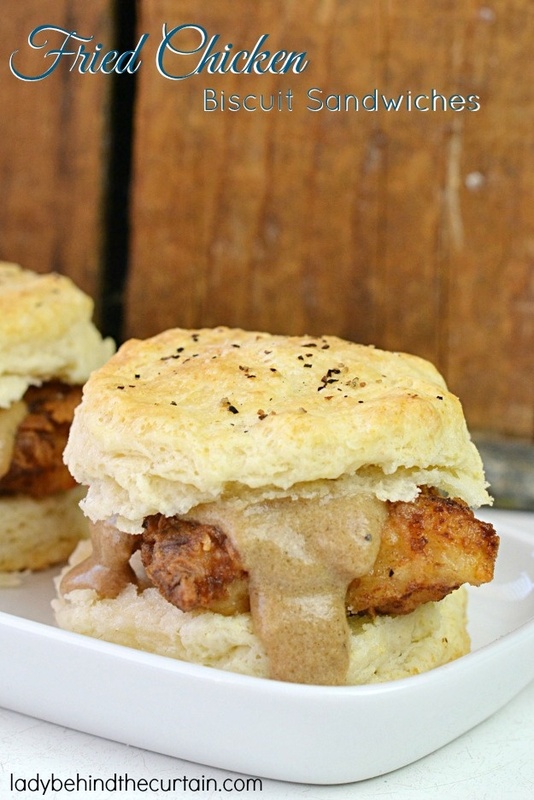 this southern staple is one of my favorites. This recipe, also from About, features a mixture of light and dark meat chicken, deep fried and placed on a french baguette, topped with lettuce, tomato, pickles, and mayo! It also goes exceptionally well with a course creole mustard!